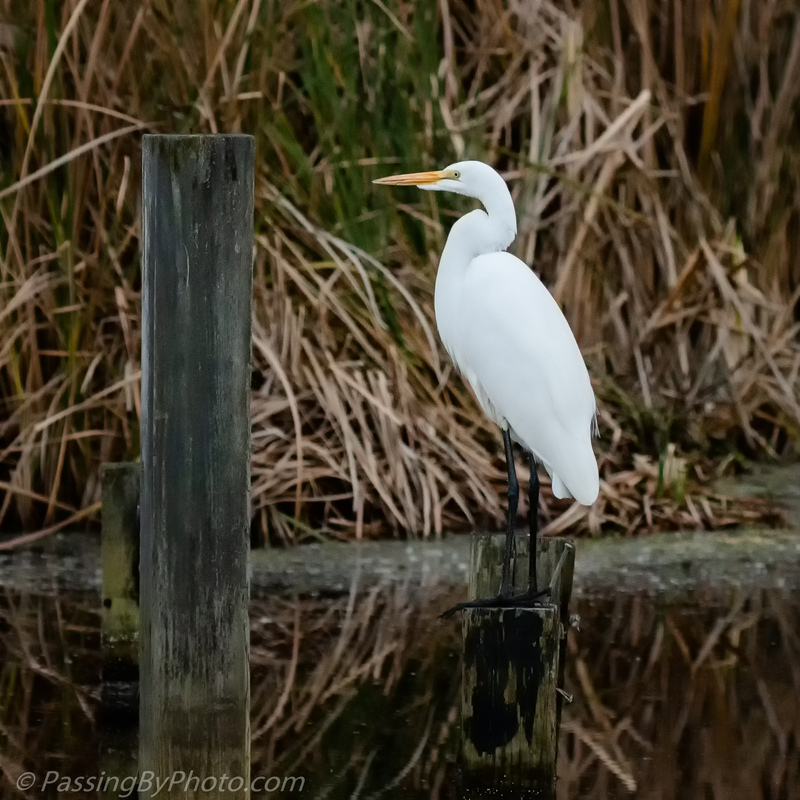 These wooden posts are leftovers from an old dock or walkway at the edge of a rice field pond and the wading birds often perch on them. 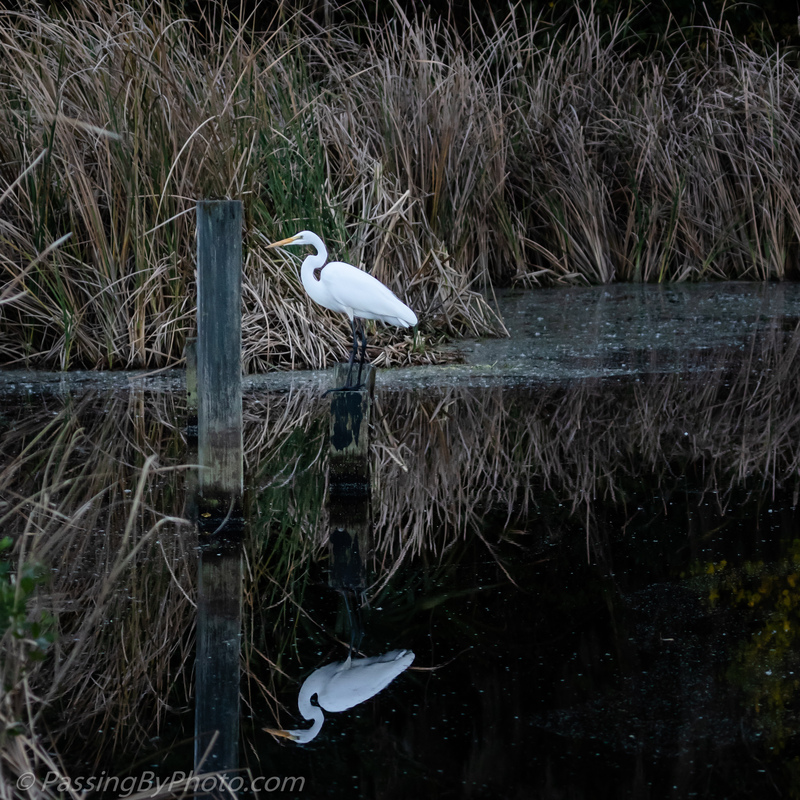 The Great Egret was standing still so a slower shutter speed allowed me to capture some images even though the sun had dipped below the tree line and there wasn’t much light in this end of the pond. 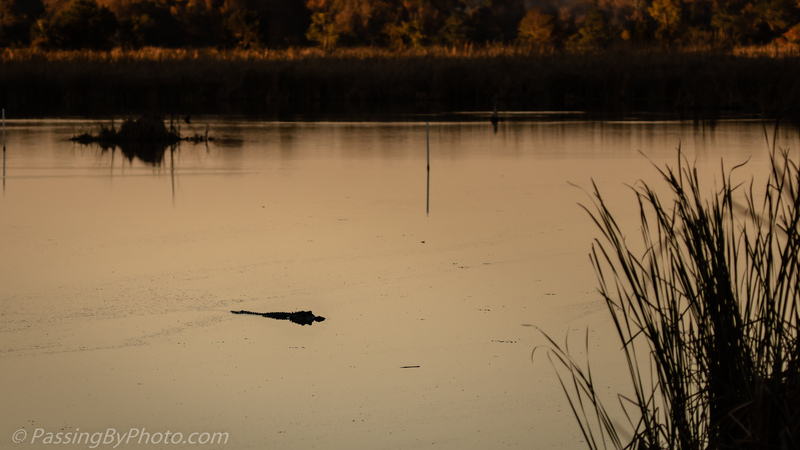 Looking in the opposite direction an Alligator was swimming towards a spot to settle for the night. The light might have been low but the effect is very pleasing. The sepia toned photo particularly so. Lovely collection of shots – so reflective. I can almost smell the scent of the dry reeds and mud and calm water in the air. It’s a lovely thing when an image evokes an aromatic response. Thank you for your comments and glad you enjoyed the photos.